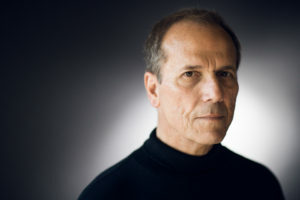 Frank La Rocca is Composer-in-Residence at the Benedict Institute. The recent winner of the ORTUS international choral composition competition, he was named a 2018 American Prize winner for his “A Rose In Winter – the life of St. Rita of Cascia”, a major work for chorus, orchestra and soloists commissioned by Alfred Calabrese, Director of Music at St. Rita’s Catholic Community, Dallas. Trained as an academic modernist during his degree studies at Yale and University of California, Berkeley, La Rocca came to see this approach as a barrier to authentic musical expression, and spent many years in search of a personal creative language. His catalog includes works in all genres, with an emphasis on a cappella sacred choral works. At a recent University of Notre Dame conference, “James MacMillan: The Musical Modes of Mary and the Cross”, La Rocca presented a talk entitled, The Apologetics of Beauty: a Musical Theology of the Incarnation, based upon his choral work O Magnum Mysterium. More can be learned about Frank La Rocca on his personal website, www.franklarocca.com.